The tora-tora, a symbol of masculinity, fierceness, and invulnerability, is usually worn by war leaders. 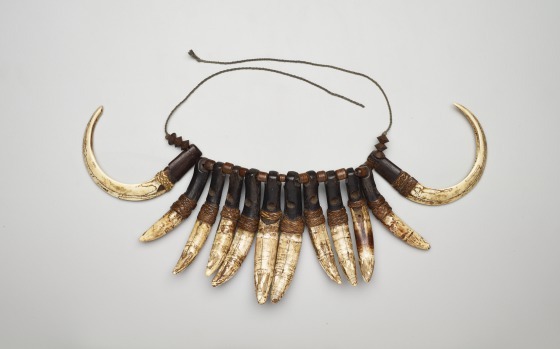 Male dancers wore it as part of a highly stylized costume in a war dance, together with brass versions of water buffalo horns, which signified prestige and success in warfare. 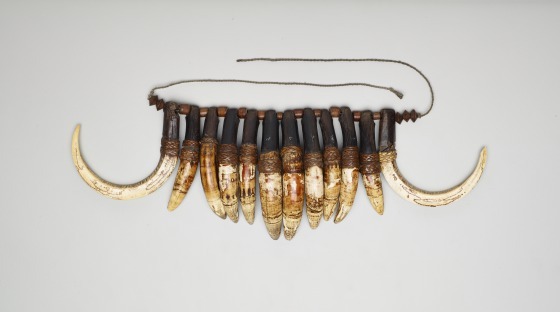 The natural curve of tusks such as these may have inspired the spiral design that is prominent in Toraja sculpture and textiles.